What if I told you that there was an easy, automatic, low risk, high-reward way to break into real estate investing? What if I told you that you could buy a rental property with as little as 3.5% down, achieve a return of 100% or more per year, and do this with far less risk than your peers investing traditionally in rentals with 25% down? You’re probably either interested, or you don’t believe me. It’s called “house-hacking” and it’s how I started investing in real estate with just $20,000 in Denver, CO. 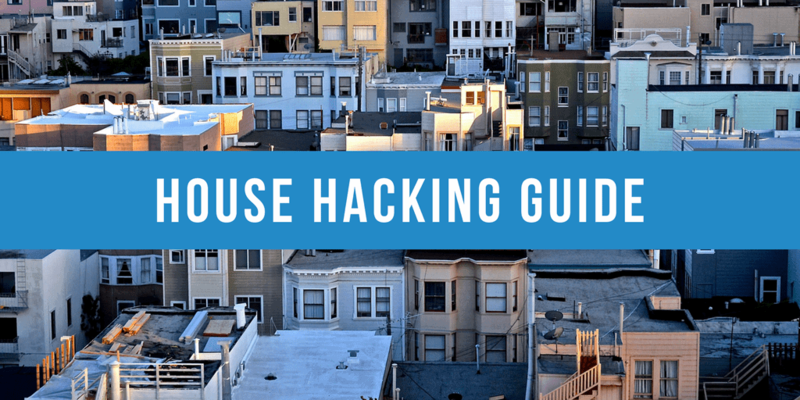 This article will explain to you what house-hacking is, the math behind house-hacking, how house-hacking can be low-risk, and how house-hacking can accelerate the accumulation of a sizable rental portfolio. House-hacking is the process of buying an investment property as an owner-occupant, moving into one of the units or bedrooms, and renting out the remainder of the property to some wonderful tenants that kindly pay down your mortgage. For example, my first ever purchase was a $240,000 beat up, old duplex in an “up and coming” neighborhood in Denver, CO. I moved in, got the place livable, and began renting out the other unit to some tenants for $1,150 per month and the other bedroom in my unit to a roommate for $550 per month (total of $1700 in rent per month). My mortgage was $1,550 per month, so with that and the maintenance expenses and upkeep, my portion of the utilities, and the rest of it, I probably broke even. Part of the reason my mortgage payment was so high was due to the MIP (Mortgage Insurance Premium) I had to pay with my low down payment FHA loan. I put down just $12,000 and probably sunk another $8,000 into the property over the next few months with repairs. I did much of the work myself and hired out some of the big projects to professionals. And that was AWESOME. There I was, 24 years old, living completely rent and mortgage free. My savings rate went through the roof! I lived in a pretty great spot–an easy 10-minute bike ride from downtown Denver, and was able to completely finance my housing with other people’s money. The math behind house-hacking can get a little bit absurd. Think about it, when you put down 3.5% or 5% on a property, you are leveraged 28.5:1 or 19:1, respectively. In my case, with 5% down, every 1% appreciation results in a $2,400 gain or a 19% return on my $12,000 down payment! Same thing with loan amortization. Same thing with the rent, which I count as part of my return since I no longer have to pay it. When you are playing with numbers that produce returns as ridiculously high as these, computing the ROI on a house-hack is kind of silly, even in an average market. My property made me several times my money back in less than two years. Instead, if you want to get a good idea for whether a property will make for a great house-hack, analyze it’s potential as an investment property. Don’t just buy a property that will produce a positive ROI – as long as your market stays flat or appreciates, your ROI will be massively positive as a house-hacker. Instead, buy a property that will produce a strong ROI as cash flowing rental property after you move out and retain it. They should be able to live in the property happily and at very low-cost with the help of tenant rent indefinitely. They should be able to sell the property at a gain, just as any homeowners in the local area can. They should be able to keep the property as a cash-flowing rental that will produce passive income and build wealth in an up, down, or sideways market. If you give yourself those three options, you’ll be sitting pretty with a lot of good problems in as little as a year. This is lower risk than remaining a tenant, so long as you assume that rents in your area are unlikely to drop drastically. It’s lower risk than buying a regular single-family home because your homeowner peers will not have the opportunity to rent out part of their space to cover all or most of the mortgage in a down market. And, it’s lower risk than buying an investment property the traditional way, because you can live in the property for such a low-cost and wait out any downturn. Of course, these three advantages only produce a low-risk situation if you are able to purchase a solid cash flowing house-hack in an area that you are happy to live in. If your plan is to move out as soon as possible, and you’ll hate living in the place, you might be in for some discomfort if the market takes a dive and you are unable to buy more property or sell. One of the challenges with house-hacking is that the house-hacker will often use a low down payment loan like an FHA or 5% down conventional loan. These loans come with mortgage insurance, which can often run hundreds of dollars per month. My goal with my house-hacks is to get to 25% equity as quickly as possible and refinance into fixed 30-year mortgages without any mortgage insurance. The house-hacker can force appreciation by improving the property. The house-hacker may benefit from market appreciation. The house-hacker will be paying the loan down. The house-hacker will be living rent and mortgage free, allowing them to increase their savings rate. One way or another, you need to work hard to build equity as fast as possible if you pursue this strategy. After achieving this refinance, you’ll be in an incredible position. You’ll be able to use another FHA or 5% conventional loan to buy another house-hack. It’s like a cheat code to purchase hundreds of thousands of dollars in real estate with just $10,000 – $20,000 in cash. On its own, house-hacking can take folks from a modest income to early financial freedom, done correctly. Imagine the possibilities if you continue to work hard, save hard, and build wealth in other interesting ways while house-hacking! Scott Trench is a real estate investor and the Director of Operations for BiggerPockets. Scott is passionate about helping others build wealth and serving his community in whatever ways he can. 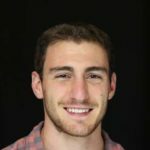 In his spare time, Scott enjoys skiing, biking, and cooking, and he is a lifelong rugger. House-hacking is just one component (although a core one in all but two or three of the most expensive markets in the United States of an aggressive plan to take one from full-time employment to early financial freedom as rapidly as possible. 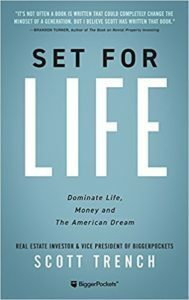 If you are interested in a holistic plan, with detailed, actionable steps to move toward early financial freedom, you'll want to check out Scott's new book, Set for Life. This book was written for folks that work a full-time job earning at or near the minimum wage, with little to no net worth who aspire to early financial freedom. Don’t you have to qualify for an FHA loan? By qualify I mean have your income below a certain threshold… I thought an FHA loan was for people who can’t really afford the 20% or more fore a conventional 30 year loan. Seriously?? Whoa – that’s awesome! Thanks for shedding some light on this Brandon, I had no idea. Good to hear the real story from the expert! Not your idea Brandon. The idea of the author of the article. Sorry. The sum of the monthly mortgage and monthly tax payments must be less than 31% of your gross (pre-taxes) monthly salary. The sum of the monthly mortgage, monthly tax and other monthly debt payments must be less than 43% of your gross (pre-taxes) monthly salary. DISCLAIMER: The figures above are based upon current FHA program guidelines. FHA requires a 3.5% down payment as well as an upfront and monthly mortgage insurance in many cases. This is from FHA.com, not a government website but I’ve been told this multiple times this year by several lenders. Maximum amounts vary by area. So that being said… can this conceivably be applied effectively as described in the article? I heard your recent BiggerPockets podcast with Scott, regarding this topic. I have a friend who I’ve been discussing some real estate investing with. He is a single handyman and could benefit from this idea but he doesn’t have the down payment cash right away. I have a family and more cash to invest. Is it possible to cooperatively invest with him such that I front him the 3-4% downpayment, to allow him to get into a property. In the podcast you all mentioned a subset of the FHA loan guarantee program which would allow you to qualify for the costs of repair as well. I went big and got a fourplex in red hot Austin, TX with this strategy and it’s AWESOME. It’s definitely not the easiest thing to accomplish – I had to put an extra $30k of capex / improvements into the property as well as get rid of the inherited tenants who just stopped paying, which took 3 months of hairpulling… But once all was said and done, the property cash flows $250/month with me occupying one of the units. When I move out, it should cash flow $1250 !!! But like anything in life there are some caveats – namely that in hot real estate markets, it’s very difficult to close on a deal with an FHA loan because sellers prefer a conventional mortgage since those tend to close faster and with less shenanigans. I got really lucky because my original offer was via conventional loan and I won in a multiple offer scenario (gotta write those love letters baby!) and then negotiated with seller to switch to FHA for that sweet 3.5% down payment. Still though, my deal almost fell through since the appraiser got delayed; it took a LOT of negotiating with the seller (basically doubling my option amount to let them know I was still acting in good faith) to get this deal wrapped up. So it’s not all sunshine and rainbows, but if you’re willing to learn and hustle it’s definitely one of the best deals around! Some really great tips here. When we first graduated college and had a mountain of debt, I wish I had known more about house hacking. Thanks for checking it out! Glad it was helpful.